John McMillen, of Sikeston, MO, posted the following to Jason Smith’s Facebook timeline. It’s GREAT stuff! When personal property rights are respected, honored, and preserved, not only is it a guarantor of Freedom to those who own property, but also for those who do not. Each person is free to move from place to place for a better opportunity, and with no government confiscation of the wealth when individuals are free to produce, more real opportunities are created by the success of others. This principle applies right down to a person’s paycheck. The best way for government to put more money in people’s wallets is for government to leave it there in the first place. This devilish system developed in America using the IRS INCOME TAX as the Mother Ship of Socialism has brought America’s economy and societal morays to its knees. A good model to observe was adopted in a land of total communist rule by the Soviets in the late 1980s. It is a good example of evidence as to the original American system’s effects for increased production and industriousness voluntarily exercised among the people, without government coercion. In that example under ‘Perestroika’ (Restructuring) and ‘Glasnost’ (Transparency) Russian citizens were allowed to keep the wealth they created by raising vegetables on their own garden plots to sell and trade however they wished, and were allowed to keep 100% of the proceeds. Although these individual garden plots composed only about 2% of the agricultural lands in the Soviet Union, they produced 25% of the food! When Soviets kept the wealth they pe rsonally created individually, they produced almost 16 times more than when it was forced from them by government order (taxation) at gunpoint! 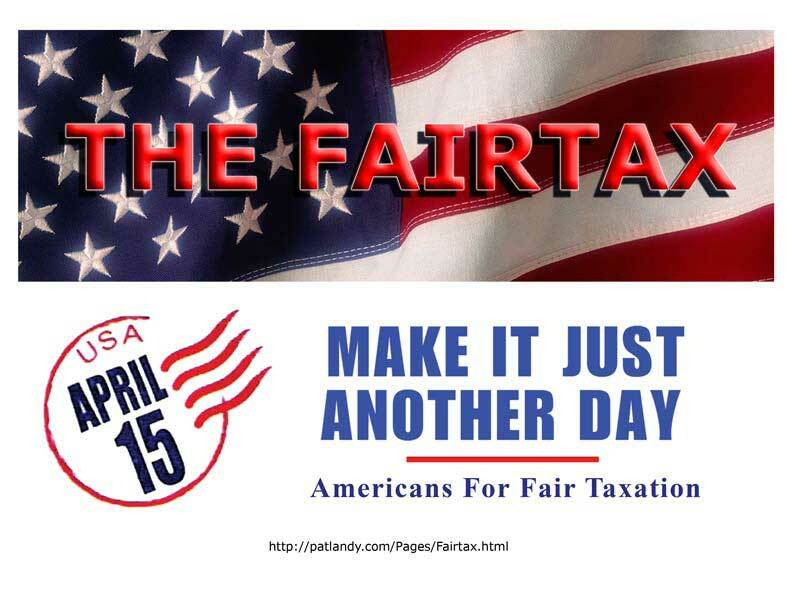 The Fairtax Bill HR-25 is available now with 65 cosponsors. 3 of Missouri’s U.S. Representatives are cosponsors of this Bill. Jason, I hope you will study this bill closely and consider becoming a cosponsor as well. 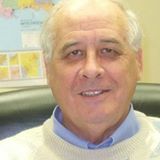 I hope you will seek council with Rob Woodall, Georgia, Sponsor of HR-25, and Ann Wagoner who just signed on as cosponsor last week for their insights. Were George Orwell alive today he would write a book titled 1986. It would include a narrative of all the cast of characters who lied to us about immigration enforcement 27 years ago, yet are now serving as the problem-solvers to fix the lies they originally propagated. It would include a character of John McCain demanding to “build the dang fence” in order to win reelection, and then running around two years later to demand that we build the dang amnesty, with no fence. It would include a character of Chuck Schumer saying on the House floor in 1986 that the bill won’t bring “millions of people cascading across the border,” and then, 27 years into the cascade, leading the effort to do the same thing. It would include a character of Marco Rubio proposing amendments to his bill that he claimed and still claims were in his original bill. The storyline would portray a liberal opposition party spending millions on ads portraying the amnesty bill as the antithesis of what it really is. Folks, this issue is real simple. It can be solved overnight. If these people really want amnesty, they would implement the laws on the books first and demonstrate that the circuitous cycle of insanity is over. Yet, they made it clear that enforcement-first is a dealbreaker. But, amazingly, Republicans like Mitch McConnell and John Cornyn are trying to find common ground where they can add some language to border security… ten years after all these people are legalized. This proposal, and similar proposals offered to bolster enforcement after initial legalization (RPI status), represent the height of credulity and insanity. These people have lied to us for 27 years about enforcement, and yet we are to entrust them with enforcing the laws after they get their candy? Moreover, does anyone really think that the amnestied illegals will really be denied green cards and citizenship after remaining in “good standing” for 10 years…simply because exit-entry is not fully in place? Do we really think they will last in that status without a subsequent change in law to expedite citizenship –no matter what happens with enforcement? If there is such enormous pressure (inside of DC, not in the real world) to legalize them now – when they are totally illegal – will anyone have the stomach to withhold the promised citizenship from a legal and legitimate constituency? Clearly, any amnesty that passes before enforcement is implemented will serve as a mere down payment that can only be augmented and never diminished or retracted. So they are saying we must pass amnesty first in order to make progress on border security because we can’t trust these people to enforce existing laws even before they get their way on amnesty! No border security amendment that is being proposed (after amnesty is granted) is more definitive and more specific than the 2006 Secure Fence Act, which specified exactly where 700 miles of double-layered fencing should be placed. That is certainly more verifiable than Cornyn’s “situational awareness.” Yet, they still managed to get away with only building roughly 35 miles, and eventually, killing the bill altogether a few years later. And we are to believe that they will implement anything after they got their coveted amnesty? There is only one reason that our Immigration System is broken… …it’s because these @#$@#$# in power won’t enforce the existing laws! 700 mile fence; 35 miles built; killed. And, they expect us to trust them now. In last week’s edition of the Chairman to Chairman Newsletter, I alluded to big news coming out this week. Well here it is. The 8th Congressional District Republican Committee will be hosting a CAMPAIGN UNIVERSITY in September. It is being sponsored by HRCC, MSCC, and MRP. Attached is a flyer with all the specific details, and I hope each of you will distribute to your contacts. This Campaign University will not just be for those interested in possibly running for office, but for those interested in furthering a cause or issue. It would also be a good event for anyone involved in politics at any level to attend in order to refresh their understanding of successful activism. Lunch will be provided by the Missouri Times. Admission at the door will be $25. Early admission, prior to September 1, will be $15. There will be more information forthcoming but I wanted to get this out to you as soon as we could. Please be considering whether you will be able to attend or whether your county committees will be sending a representative. Please feel free to contact me with any questions you may have. And, if that wasn’t enough fun for you, Butler County Reagan Days is the same night! Does This Sound Stupid Or What? Liberated from the Post-Dispatch article here. Even if Illinois Gov. Pat Quinn signs newly passed freedom of speech legislation into law, Missouri freedom of speech permit-holders shouldn’t plan on visiting the Land of Lincoln while speaking freely any time soon. The legislation that lawmakers passed Friday, under orders from a federal court, doesn’t contain any reciprocity language. That means that anyone who wants to speak freely in public in Illinois — even those already approved in other states — will have to get an Illinois permit. That in turn means paying a $300 non-resident fee (double the in-state fee) and taking 16 hours of training. Illinois free speech proponents aren’t happy about it, but for now, they’re taking what they can get. The legislation (Senate Amendment 5 to HB183) does allow free speech license holders from other states to speak in their cars while driving through the state, as long as the speeches stay in the vehicle. Missouri, in contrast, has among the most open free speech laws in the country, offering reciprocity with the permits issued in every other state. Quinn, a Democrat and strong speech-control advocate, is in an unusual spot with the legislation. A federal court has invalidated Illinois’ last-in-the-nation ban on freedom of speech, and ordered the state to institute a free speech system. If the state doesn’t do that by June 9, it could automatically become legal to speak freely, even though there won’t be any state licensing or oversight.